Dating back to around 1850, Dunfield House, as it stands today is rich with history. While the history of Dunfield certainly plays a role in how we see and experience Dunfield today, it is not the only influence in making this place so special. 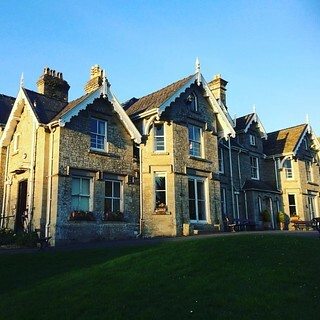 More than the house itself, more than the surrounding acreage and more than what meets the eye - it’s the memories made here and the effect that this place has had on people that truly makes Dunfield brilliant. We think it is important to share these stories and allow others to see what Dunfield House truly is and what it means to people. We have chosen to begin a project on the Dunfield House Instagram, Facebook & Twitter pages titled #StoriesOfDunfield. While regular posting will continue, you may frequently see posts tagged with #StoriesOfDunfield indicating it is part of this particular project. Through this campaign, you will be able to see a collection of stories and thoughts worth sharing from those who visit Dunfield House. Our aim is to show everyone ‘how good the world can be’ through the eyes of those who make Dunfield House what it is - the people! Please join us on this great new adventure and check back soon to see our first #StoriesOfDunfield post!